1. 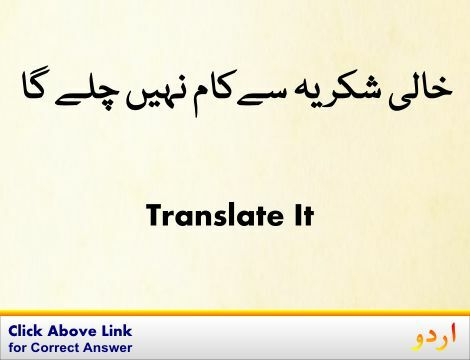 Trace, Hint, Suggestion : پہچان : (noun) a just detectable amount. He speaks French with a trace of an accent. 2. 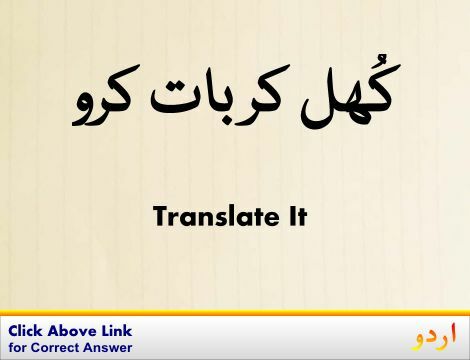 Trace, Follow : نگرانی کرنا : (verb) follow, discover, or ascertain the course of development of something. Analyse, Analyze, Canvas, Canvass, Examine, Study - consider in detail and subject to an analysis in order to discover essential features or meaning. 3. Trace, Shadow, Tincture, Vestige : سراغ : (noun) an indication that something has been present. There wasn't a trace of evidence for the claim. Indicant, Indication - something that serves to indicate or suggest. 4. Trace, Delineate, Describe, Draw, Line : خاکہ بنانا - لکیر کھینچنا : (verb) make a mark or lines on a surface. 5. Trace, Retrace : واپس جانا : (verb) to go back over again. We retraced the route we took last summer. 6. Trace, Hound, Hunt : تعاقب کرنا - سراغ لگانا : (verb) pursue or chase relentlessly. The hunters traced the deer into the woods. Chase, Chase After, Dog, Give Chase, Go After, Tag, Tail, Track, Trail - go after with the intent to catch. 7. Trace : نقش - نشان : (noun) a visible mark (as a footprint) left by the passage of person or animal or vehicle. 8. Trace : نقش کرنا : (verb) copy by following the lines of the original drawing on a transparent sheet placed upon it; make a tracing of. Copy, Re-Create - make a replica of. 9. 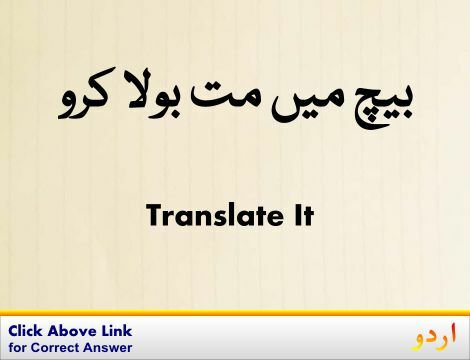 Trace, Decipher : مشکل عبارت پڑھنا : (verb) read with difficulty. Read - interpret something that is written or printed. Ascertain, Assure, Check, Control, Ensure, Insure, See, See To It : پتا لگانا : be careful or certain to do something; make certain of something. "He verified that the valves were closed"
Class, Course, Course Of Instruction, Course Of Study : نصاب : education imparted in a series of lessons or meetings. "He took a course in basket weaving"
Fair, Just : منصفانہ : free from favoritism or self-interest or bias or deception; conforming with established standards or rules. "A fair referee"
Traceable : سراغ لگانے کے قابل : (usually followed by `to') able to be traced to. Toxicant : ذہر : any substance that causes injury or illness or death of a living organism. How this page explains Trace ? It helps you understand the word Trace with comprehensive detail, no other web page in our knowledge can explain Trace better than this page. 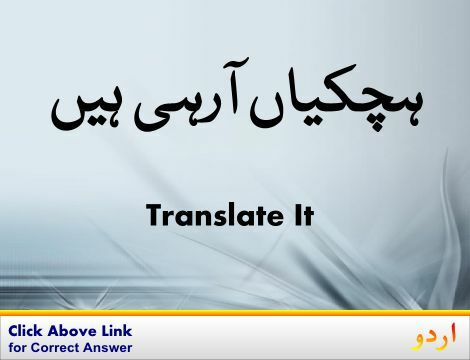 The page not only provides Urdu meaning of Trace but also gives extensive definition in English language. The definition of Trace is followed by practically usable example sentences which allow you to construct you own sentences based on it. You can also find multiple synonyms or similar words on the right of Trace. All of this may seem less if you are unable to learn exact pronunciation of Trace, so we have embedded mp3 recording of native Englishman, simply click on speaker icon and listen how English speaking people pronounce Trace. We hope this page has helped you understand Trace in detail, if you find any mistake on this page, please keep in mind that no human being can be perfect.